Every year Ephraim Elementary celebrates the mascot’s birthday with a party and a day of reading. This year, the party theme was “Wild about Books” jungle theme. The students came to school in either jungle animal costumes or pajamas to read. 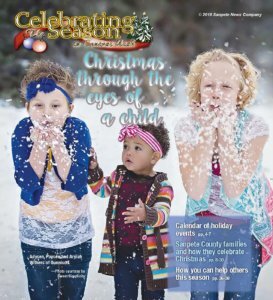 The tradition was started 38 years ago by former principal Jim Peterson. He had the idea of creating the dinosaur mascot who loved to read. While celebrating, the students are given a reading goal to complete throughout the day for a reward. This year, the students had to complete at least 3,630 minutes of reading all together. To help reach their goal, Ephraim Elementary invited guest readers to visit each of the classes. Ms. Ephraim was the first guest to stop by and read to students in their classes. 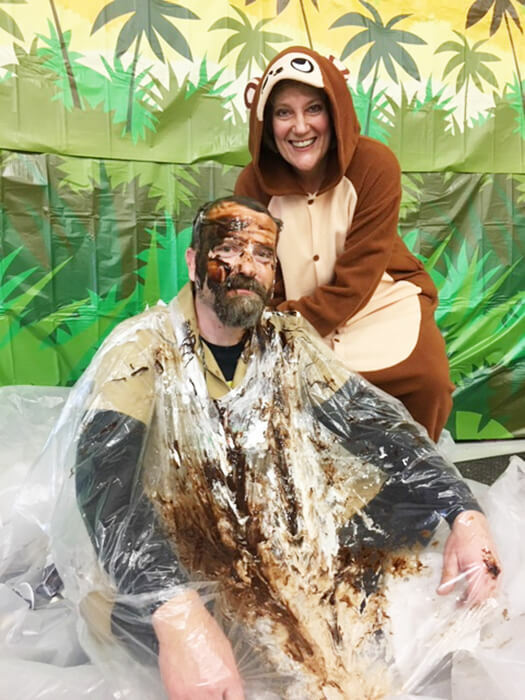 Ephraim Elementary principal Gannon Jones was decorated as a banana split in celebration of the students meeting their reading goal. Then groups of students from Snow College and Manti High School read to the students in each of their classes. 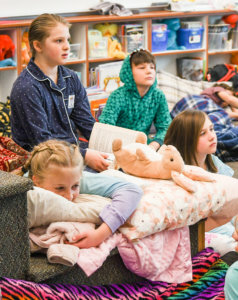 The last group of guest readers was a group of Snow College athletes who joined each of the classes in the school library to talk to the students and autograph their new books given to them by the school. To meet their reading goal, students would read in their classes and every fifteen minutes they could hit a gong signifying one step closer to their goal. The gong hits throughout the day were tallied up to be 288 hits. The tallies were added up to be 4,320 minutes which surpassed the school’s goal completely. As a reward for meeting and passing the school’s goal, the students had the opportunity to turn their principal Gannon Jones into a banana split. Bananas, ice cream, chocolate syrup, whipped cream and cherries were dumped on a plastic-wrapped Mr. Jones who happily accepted the punishment.